Cascades playoff action — men’s basketball & women’s volleyball at nats; women’s basketball fighting to get there. Three UFV athletic teams are involved in playoff action this weekend. The women’s volleyball team is playing in the national collegiate championships in Nanaimo, starting today (Thursday). The men’s basketball team plays in the Final Eight national tournament starting tomorrow (Friday) and the women’s basketball team plays for its life in a regional four-team tournament in Ottawa. The winner gets a berth in next week’s national tournament. Fri — Breakfast with the Cascades! And dinner too! You can catch the men’s basketball team at 8 am (PST) on www.ssncanada.ca The women play at 6 pm PST. All fans and media can follow the UFV Cascades basketball teams on the CIS official web network SSN Canada. The Cascades games will be live on Fri, March 9. Catch all the action on SSN by logging onto www.ssncanada.ca and click on CIS basketball. *Media Note: As OUA Champions, the University of Ottawa has already qualified for the CIS “Final 8” tournament in Calgary, Alberta, so if Ottawa is in the Saturday night championship game, their opponent (Cape Breton or Windsor) automatically qualifies for the CIS “Final 8” Tournament. 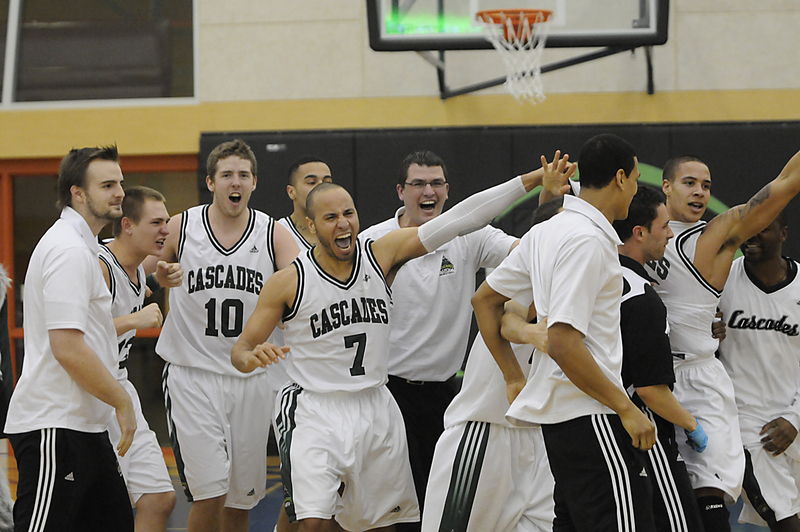 All fans and media can follow the UFV Cascades basketball teams on the CIS official web network SSN Canada. The Cascades games will be live on Friday, March 9th. Catch all the action on SSN by logging onto www.ssncanada.ca and click on CIS basketball.